Don’t go thinking that I’m content getting around on my Extreme X8 4x4, I always have to raise the bar and I want to feel that adrenalin rush again. 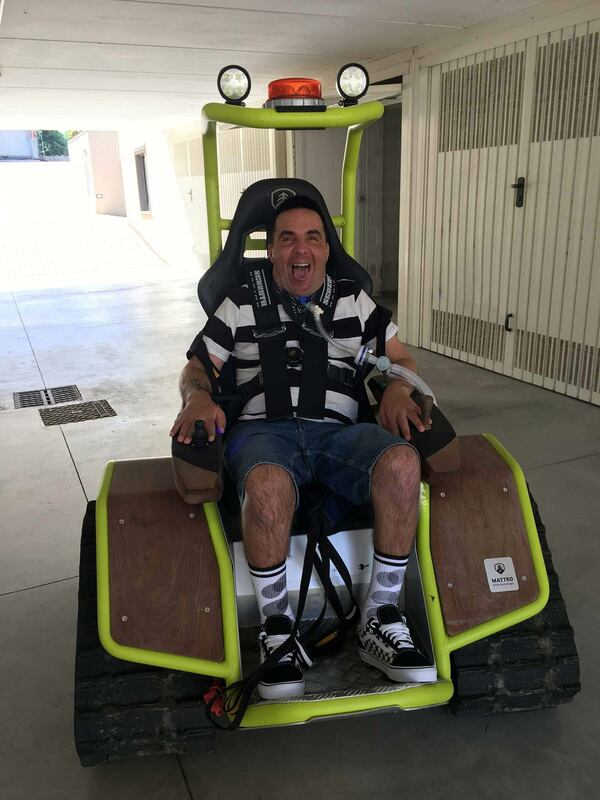 Together with the Austrian company, Der Ziesel and an Italian distributor Bertram Armorth, we are developing a prototype for a wheelchair on caterpillar tracks for quadriplegics. I will be the first person in the world to use it! Thanks to DALLARA, leader in the Automotive Racing, I’ll have a personalised carbon frame like a racing car. They will take a mould of my body and I’ll be so well supported that any movement will be limited to less than 1 mm when I’m inside. I’ll be able to control the chair with my chin, instead of using manual commands, and I’ll be able to go at my 'perfect speed'.